Check out THE BLIND WIZARD DECK, the introductory product from Don Boyer, the "Deck Tailor!" 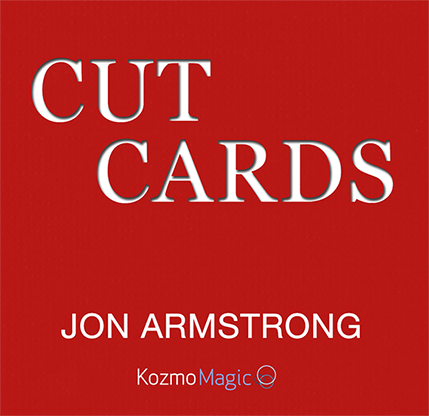 1) It's a pro-grade, shallow-cut end stripper deck, difficult to detect and allowing for overhand shuffles instead of Hindu shuffles for more subtle and natural handling. 2) It has a tactile marking system that's read by touch. You can read the cards blindfolded! 3) The faces, as well as the backs, are marked. Know not just the top card of the deck - know the bottom card as well, without resorting to a peek, a shiner, etc.! In the hands of a pro card artist, the possibilities are nearly endless. 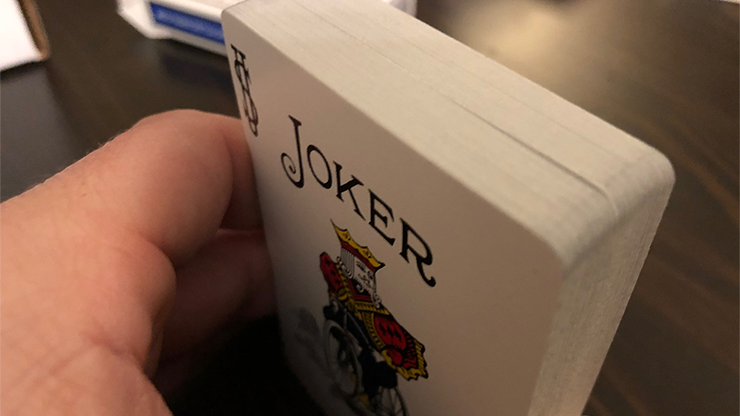 It's a highly versatile secret weapon that looks like any ordinary pack of cards, usable in a plethora of routines, perfect for the street performer, the table hopper, or the parlor sleight-of-hand artist. See what other professional magicians have said after trying out advance copies of The Blind Wizard Deck. "I've never handled a top end stripper before, it's very different from your usual strippers... it's pretty cool! I can see a lot of potential with this deck as you are able to not only locate any selected card, but also figure out what the card is without even looking!" "I appreciate how shallow you're making the end strippers... I can tell you've spent a lot of time crafting them. We don't see that as often in magic anymore." "In my opinion, The Blind Wizard Deck is tailor-made for professionals... it's really been thought out perfectly... it's really, really well-made." See Ekaterina's video review for yourself! - One standard pack of USPC-printed Bicycle Standard (Rider Back) playing cards with red backs, customized by hand into a Blind Wizard Deck. - An instruction sheet describing the way the deck works. - A link to a video of Don Boyer demonstrating the deck in action. 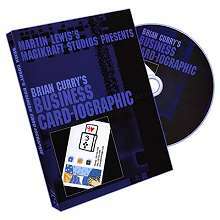 This video includes one of his favorite routines in which he personally uses the deck when performing. Also available in Bicycle Standard blue and Tally Ho Circle Back in both red and blue. NOTE: This product is NOT RECOMMENDED for novice magicians, especially ones who have never used a stripper deck or a marked deck before.